Please continue to work on any letters names, letter sounds, or numbers 1-20 that your child has not yet mastered. They are all making such great progress! Please be sure to let us know by text or email when your child is going to be absent. Students also need to practice their Bible verses at home. Most students will not be able to memorize them in the limited time we have at Tutorial. Check out our new photos at the bottom of this page. General Information: For each Tutorial day, please look at your curriculum guide and send only the pages necessary for that day in their folders. The curriculum guide will be posted and updated regularly at the top of this page. Please try to remember to clean out their folders daily, so that we don’t have extra papers strewn about. Try to find time to practice the Bible verse for the week at home. Most students will not be able to memorize it in the short amount of time we have to work on it at Tutorial. Please make sure that your child uses the restroom before coming to class each Tutorial day. Please make sure that your child has a change of clothes in his/her backpack. Please send a healthy snack and drink with your child each day. We will have snack mid-morning. Students may arrive as early as 8:15, and classes begin at 8:30. Please make a special effort to be here each day by 8:30. Dismissal is 12:00-12:15. Please pick your child up by 12:15. Our subject focus in Pre-K is phonics/reading, with an emphasis on manuscript writing. Our curriculum also covers basic numbers concepts. 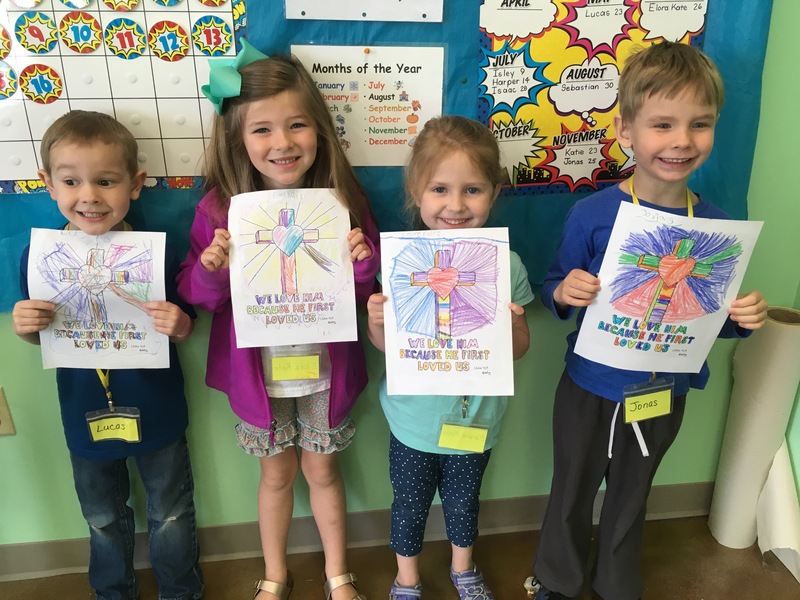 In addition to our curriculum, we will play learning games, make crafts to complement our skills, read Bible stories and learn Bible verses, and enjoy educational and fun learning centers. Preschool can sometimes be messy, especially on art day. Be sure to wear appropriate clothing.